Arducopter dome center upgrade set. 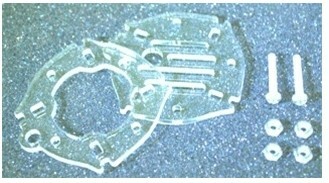 Laser CUT Upper & Lower rings. 2 x M3x20 Polycarbonate Screw. 4 x M3 Polycarbonate nut.